Answer the call of the wild with Rino 530. 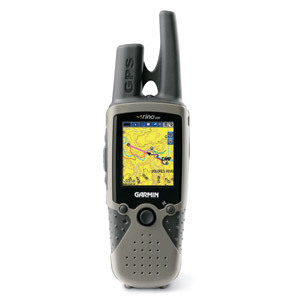 This water resistant FRS/GMRS radio plus GPS navigator packs a powerful 5 watts of transmit power along with a brilliant color display, rechargeable lithium-ion battery, barometric altimeter, electronic compass and built-in NOAA weather radio. Rino 530 boasts a whopping 5 watts of transmit power (GMRS), so you can now call for help from up to 14 miles away (line of sight). In Canada, you can transmit at 2 watts over GMRS with a range of up to 8 miles. To help you keep tabs on changing weather conditions, Rino 530 has a built-in weather radio that scans for the nearest NOAA weather radio station. 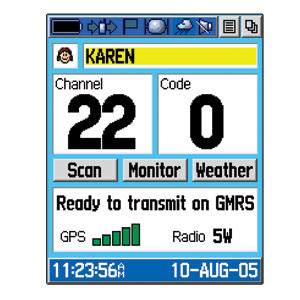 You can also set up a weather alert tone, so when your radio is on, it will alert you when a storm warning is being broadcast for your area. 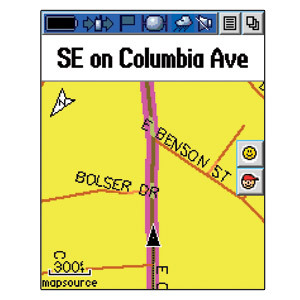 Automatic routing and turn-by-turn directions with alert tones let you find an address or point of interest and drive there (when combined with Garmin's optional MapSource® software). Fast USB computer connection and 56 megabytes (MB) of internal memory for rapid download and extra map storage. Rechargeable lithium-ion battery provides up to 16 hours of outdoor use. Like the rest of the Rino series, Rino 530 offers a position reporting feature so you can send your exact location to other Rino users in your group so they can see your position on the map page. And, because Rino is a standard FRS/GMRS radio, you can use it to communicate with any other conventional FRS/GMRS radios around. Rino 530 can save up to 500 of your favorite places in memory as waypoints so you can visit them later. 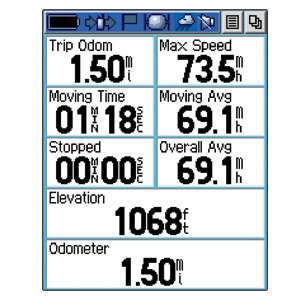 The 530 also has a built-in Americas highway basemap and 56 MB of internal memory so you can load additional detailed maps from optional MapSource® products.